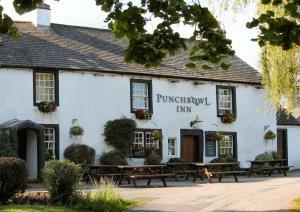 Below is a comprehensive list of hotels in Shap Abbey. 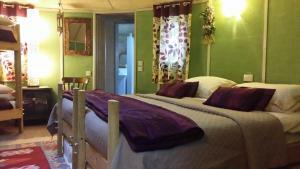 Use the sort links to refine your search or to find featured accommodation in Shap Abbey. Many of our hotels in Shap Abbey feature no booking fees and best price guarantee when booked through the Pictures of England website. 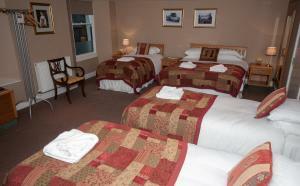 To list your hotel in Shap Abbey, click here. 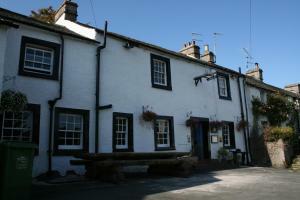 Featuring free WiFi, The Kings Arms offers accommodation in Shap, 22 km from Windermere. Guests can enjoy the on-site bar. Each room has a TV with sa.. This peaceful B&B has a quiet location 7 miles from Junction 39 of the M6, just 6 miles from Ullswater and 3 miles from Haweswater. It has free Wi-Fi .. Featuring free WiFi, The Shepherds Hut at Crake Trees Manor offers accommodation in Crosby Ravensworth, 27 km from Windermere. Free private parking is.. Between the Lake District and Yorkshire Dales, Crake Trees Manor lies around 15 miles from Penrith, looking out over the Eden Valley. With accommodati.. 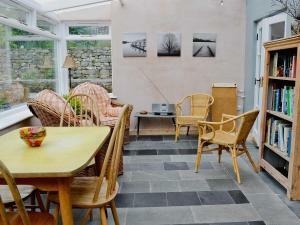 Situated in Great Strickland in the Cumbria Region, this holiday home is 29 km from Windermere. The property is 29 km from Keswick and features views ..
Meaburn Hill Farmhouse offers pet-friendly accommodation in Maulds Meaburn, 28 km from Windermere. It provides free private parking. The unit is equi..
Offering an outdoor pool, Morland Hall is located in Morland. There is a full kitchen with a dishwasher and an oven. Featuring a bath, private bathroo..
Offering an outdoor pool, Torbock House is located in Morland. There is a full kitchen with a dishwasher and an oven. Featuring a bath, private bathro..
Offering an outdoor pool, Shorrock House is located in Morland. There is a full kitchen with a dishwasher and an oven. 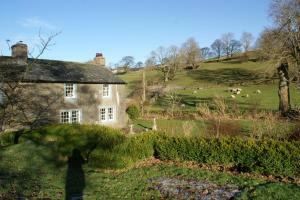 Featuring a bath, private bathr..
Coach House is located in Morland. There is a full kitchen with a dishwasher and an oven. Featuring a bath, private bathrooms also come with a bath or.. Situated 15 minutes’ drive from the Lake District National Park, The George Hotel dates back to 1826 and is located on the coast to coast walking ro..
Set 23 km from Windermere and 39 km from Keswick, Chapel Barn offers accommodation in Orton. The property features views of the garden and is 25 km fr..